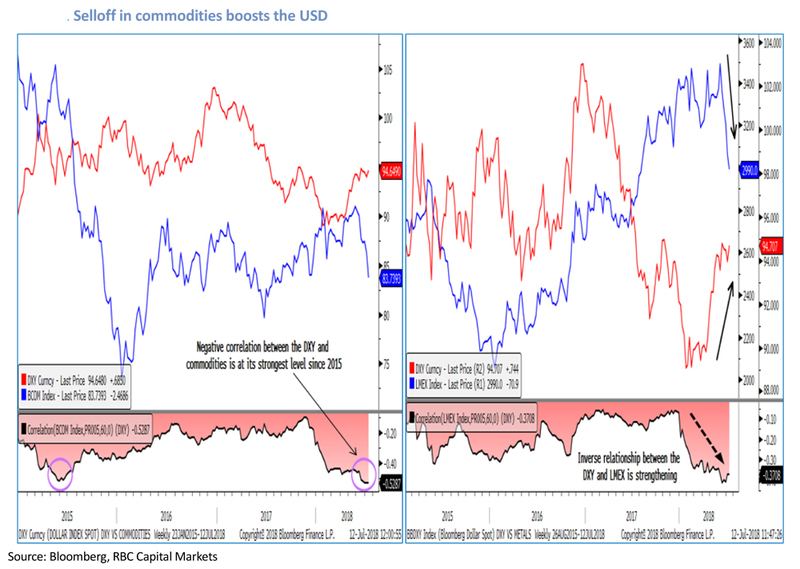 Davis points out that the negative correlation between the Dollar Index (DXY) and commodities is at its strongest level since 2015 (see Chart 1), and a major shift in sentiment has taken places for the USD. 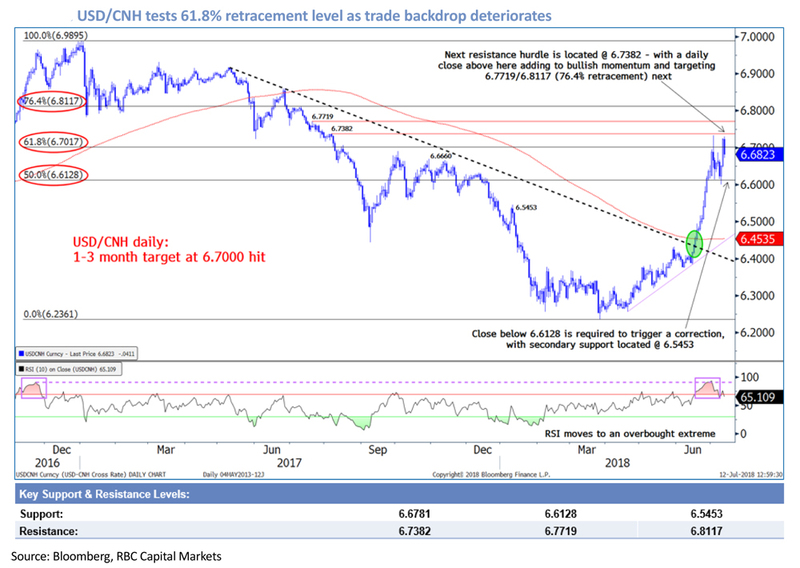 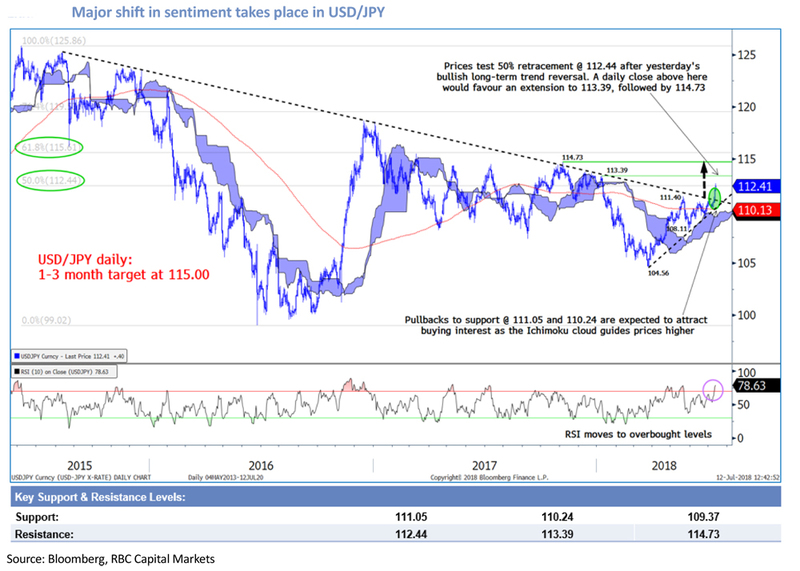 Davis now expects USDJPY to reach 115.00 (Chart 2) and USDCNH (Chart 3) to reach around 6.80 within one to three months, provided they can break above key resistance levels at 112.44 and 6.7382 respectively. 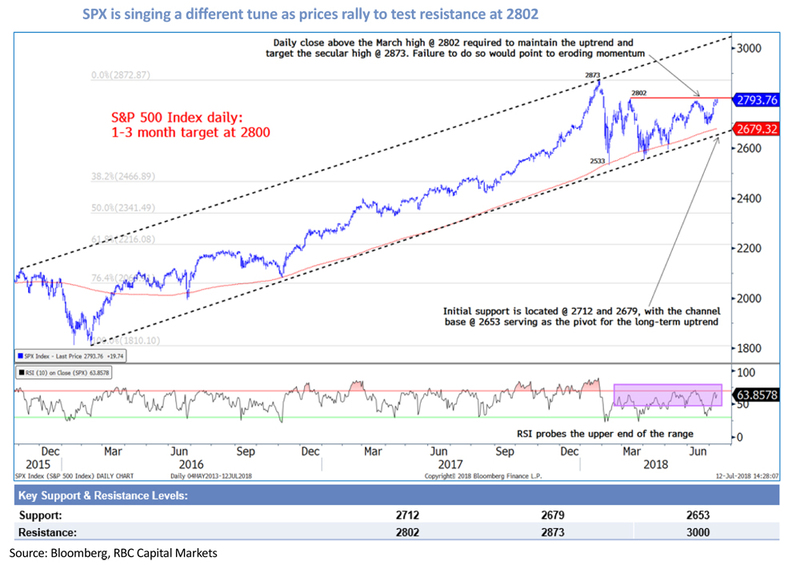 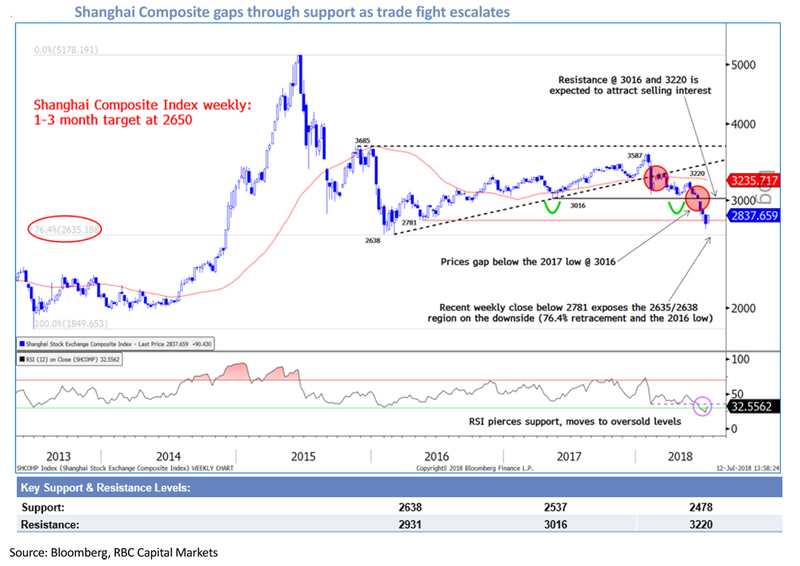 Looking at the bigger picture, Davis thinks trade tensions have led to a tale of two opposites; outflows from various emerging markets asset classes on the one hand, while US markets continues to advance on the other (see Chart 4 and Chart 5 for Shanghai Composite vs S&P 500).